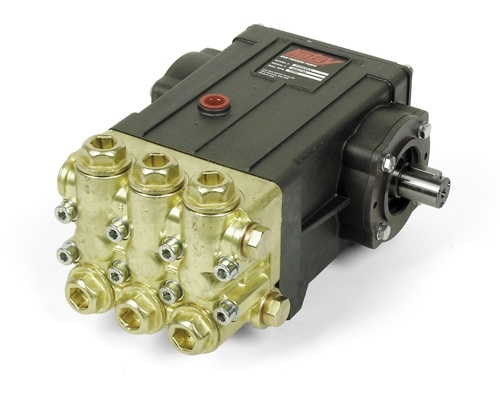 Hotsy "HC"Series Tri-plunger belt drive pump. Right Hand. 17.3 HP, 1725 rpm, 25 mm Right Hand Shaft, 38 lbs. * Seven year limited warranty. * Large capacity, die-cast, anodized aluminum oil-bath crankcase with cooling fins. * Forged valve caps with recessed O-rings.